Picture of diver Rodney MacLean who died in 2012, while diving for Scallops. Shaun Geddes was the skipper of the MV Hildona when disaster struck and Rodney MacLean, 33, lost his life. Mr MacLean had been diving for scallops from the vessel when he got into difficulty underwater. 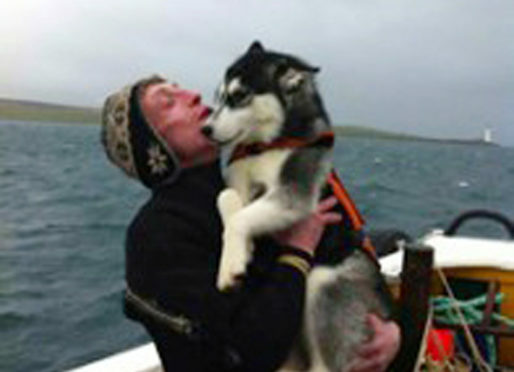 He failed to surface from the sea near Orkney and a massive rescue operation was launched to try and find him in March 2012. His body was eventually discovered eight months later in November. An investigation was launched by the Health and Safety Executive (HSE) and found various safety issues relating to the diving operations on the vessel. It was discovered that there had been a failure to ensure a diving plan risk assessment had been prepared and that divers had been briefed on arrangements. Geddes was charged over the incident and has appeared at Kirkwall Sheriff Court. The court was told how he failed to ensure the divers taking part in projects held appropriate qualifications and had certificates showing they were medically fit to dive. He admitted breaching health and safety laws and was ordered to carry out 200 hours of unpaid work. HSE inspector Bill Chilton said: “Today’s outcome will highlight the need for all parties involved in commercial diving projects to keep the health and safety of divers to the fore. On his Facebook page, Mr MacLean had described himself as a ‘self-employed diver – and loving it’. During the search, his heartbroken daughter Amanda pleaded for her missing dad to be found safely.